A CURRENT MCRRC MEMBERSHIP is REQUIRED to participate in this program. Please note that membership is NOT included in your program registration. PRIOR TO JOINING this program, you must become a member. If you are unsure if you have a CURRENT MCRRC Membership, please contact office@mcrrc.org for assistance. Otherwise, please click here to become a valued member. Goals and Purpose of Program: This program is designed for runners who have participated in at least one 5K to 10K race and would like to improve their speed and train in a group setting. This program also includes a walking group for those looking to extend their walking distance with a fun and motivating group. Prerequisites: You must be an MCRRC member to participate in this program. Participants must be at least 18 years of age. Notes: This is not a beginning runner’s program; female runners looking for such a program should consider the Beginning Women Runners Program (starting in March), while beginning runners of either gender should consider the 5K Run/ Walk Program starting in August. The first long run will be 3 or 5 miles (depending on the participant’s mileage base), and all participants should be able to run continuously for 3 miles at the beginning of the program. Each running participant should have a weekly mileage base of at least 9 to 10 miles and be able to run at least 3 miles continuously. The first long walk will be approximately 45 minutes. Each walking participant should have a weekly walk time base of approximately an hour a week (2-3 20-minute walks a week) and be able to walk at least 30 minutes continuously. Cost/Premium Info: The program is $50 and includes a stainless-steel insulated water bottle for the first 50 registered runners. The fee for this training program is modest. Program costs are kept low due to the volunteer nature of the club’s activities. It is expected that each participant volunteer for at least one club race or event. You are expected to workout two other times during the week on your own in order to meet the weekly goals. We will provide you with a monthly schedule, which gives weekly goals and outlines the group workouts. Group runs will only be canceled in the event of dangerous conditions, e.g. lightning. Orientation will be held before our first workout – come ready to run/ walk on orientation day! Program Staff: Lauren Kline, Laura Hurst and a great team of experienced and inspiring pace coaches. Pace Group Information: Runners will be initially placed in pace groups based on a recent 5K to 10K race time. Final pace group placement will be done after the first track and long run workouts. The White Program will be for individuals with a mileage base of 9 to 14 miles per week who can comfortably run at least 3 miles continuously at the start of the program. Their first long run will be 3 miles and will gradually increase to 8 miles. The Blue Program will be for individuals with a mileage base of 15 or more miles per week who can comfortably run at least 5 miles continuously at the start of the program. Their first long run will be 5 miles and will gradually increase to 10 miles. Communication Methods: We will use a private, online group to facilitate communications. Everyone will be required to join this group to participate in the program. 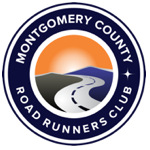 Instructions on how to join this group will be provided by the Program Director.Participants are also encouraged to join MCRRC-info , the club’s listserv for delivering important club information including race announcements or changes, track closures due to weather or other issues, etc. When joining any of the Yahoo groups, please include your first and last name in the “comment from user” field so that your membership to the group can be verified. Volunteer Requirement: MCRRC is a volunteer organization. The staff for this and all other training programs as well as that of all the races we conduct are volunteers. To support the club, participants in this program will be asked to volunteer for at least one, if not more, club races or events. Disclaimer: The program director reserves the right in his sole discretion to refuse admission to the program or dismiss any individual from the program whom the program director believes is unsuited for running the specified distance, or is unable to meet the demands of the training schedule, or is disruptive to other program participants. Those individuals will be denied entry into the program or dismissed from the program as appropriate. The program director also reserves the right to limit the number of participants in the overall program or in individual pace groups. MCRRC has a No Refund policy. Program registration fees cannot be refunded due to injury, schedule conflict or any other reason.